I’ve had a terrible day. Even those Super Bowl macarena sharks only helped for a hot minute. So let me tell you a story about an island of joy. The island happens to be my classroom. At 1:05pm on the dot every Friday afternoon, two of my students bounce through my door. They’re not running in because they’re excited about P.E. or lunch (although they love those things, too). Instead, they’re running in to grab up their crochet hooks. I don’t know how this happened, since I’m hardly an expert crocheter, but I started leading a tiny crochet class during a time our school calls Marketplace. Our students run businesses to earn money, and we’re currently crocheting some crafts we’re selling for Poem in Your Pocket Day. My “crochet class” consists of just these two students: S.L. and M.S. 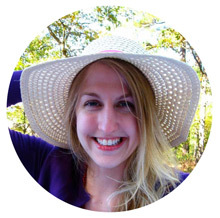 The former, S.L., is a crocheting superhero. She’s already taught me a thing or two I didn’t know before. M.S. is my novice crocheter, but she’s a superhero in her own right. She cracks me up because she’s so hard on herself, but the reality of the situation is that she learned to crochet in about 5 minutes flat and is doing a fantastic job. She’ll plow through 3 chains in a class period and still feel like she’s going slowly. M.S. : I didn’t sing because I don’t know the song. Me: That’s okay! Just hum along! S.L. : That was definitely Mozart material. M.S. : I was thinking more Beethoven, but okay. Strauss?
. . . And that, my friends, it how I learned how to spell Tchaikovskyq. I love my time with those sweet girls — and with all my students. I can think of so many of these little islands in my every day interactions with them. Telling you about just one of them has made me feel so much better. 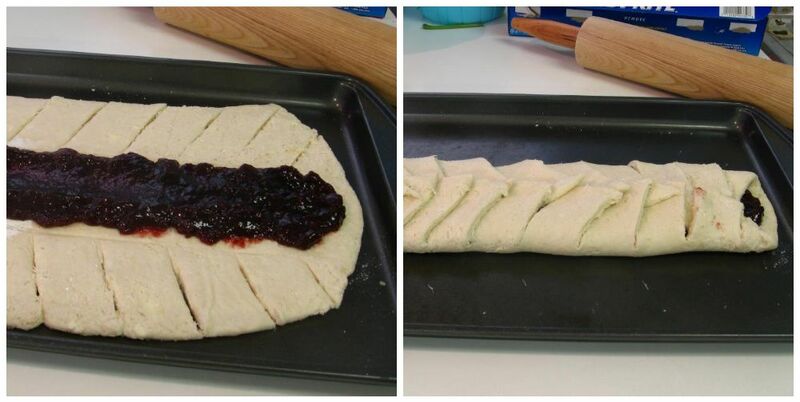 Here’s an island of joy for you: another easy pastry braid! I love these braids because they’re so unfailingly simple to make, always turn out beautiful, and always taste amazing. This one in particular is just so darn delicious that you have to try it! 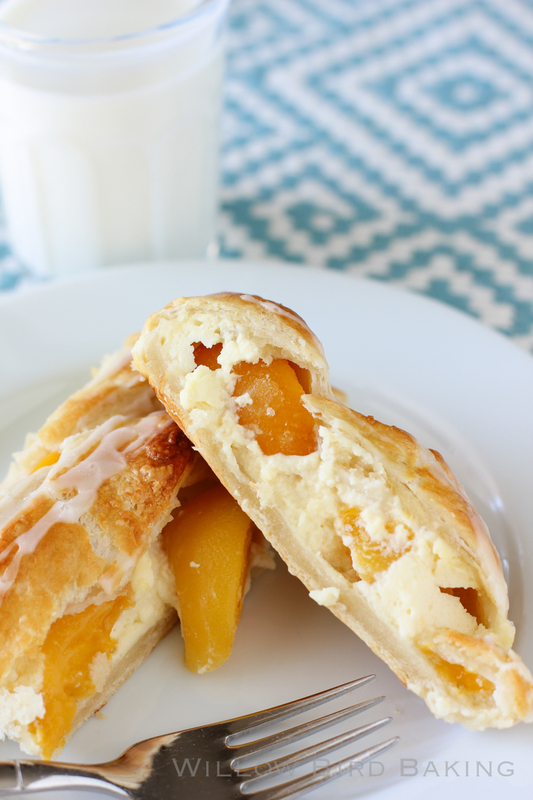 Plump peaches rest on pillowy vanilla cheesecake creating a peaches and cream masterpiece. Enjoy — maybe while listening to some Tchaikovskyq? 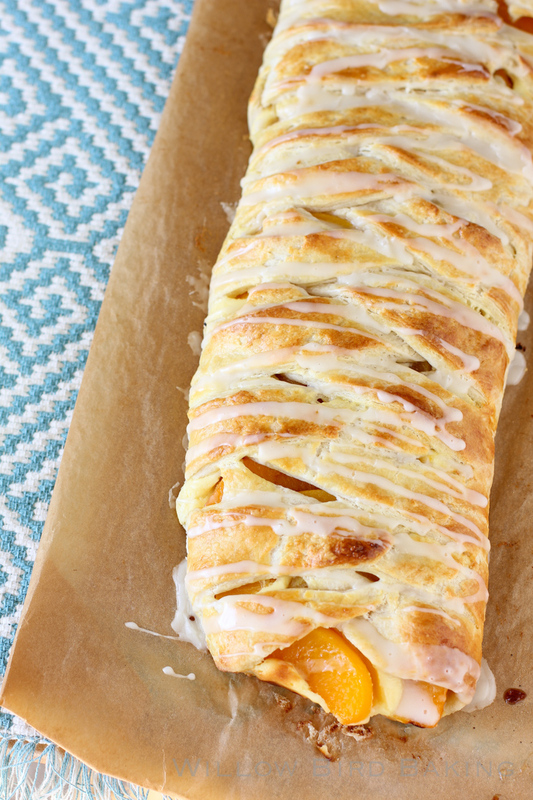 Oh my gosh, this Peaches and Cream Cheesecake Braid is absolutely delicious! The braid is gorgeous and also so easy and quick to prepare! 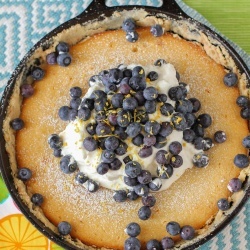 It's perfect for breakfast or dessert. Make the filling: Cream the softened cream cheese in a medium bowl until fluffy before adding sugar, vanilla extract, and the egg. Mix together until well combined. Set aside on the counter while you prepare the rest of the braid. Make the pastry braid: Preheat the oven to 425 degrees F. In the bowl of a food processor, mix the flour, powdered sugar, baking powder, and salt. Add the cream cheese and butter into the flour mixture and pulse to cut the fat into the flour (about 6 pulses). Add the milk and almond extract and blend until it’s just starting to come together into a loose dough. Turn the dough out onto a big sheet of lightly-floured parchment paper and knead each very lightly for just a few strokes (be careful not to overwork the dough or it’ll be tough! Don’t worry about getting it smooth — just knead for these few strokes and let it stay a little rough.) Very lightly flour the top of the dough and roll it out to a 10- by 12-inch rectangle. Measure and mark the dough lengthwise into thirds. Spread the cream cheese mixture over the middle third of the dough. Arrange peach slices on top. Continue assembling the braid: (Remember, there are photos below to help visualize this step!) Make diagonal cuts at 1-inch intervals on each the long sides. Do not cut into the center filling area. 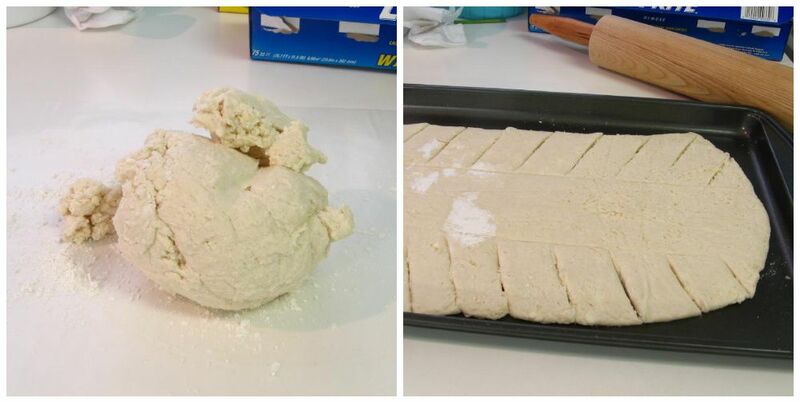 Fold strips, first one from one side and then one from the other side in an alternating fashion, over the filling, dusting off any excess flour as you go. It will now resemble a braid. Use the sheet of parchment to carefully transfer your braid to a baking sheet. At this point you can cover and refrigerate the braid overnight, or you can continue to the next step. Bake and glaze the braid: Brush the pastry braid with the egg wash mixture. Bake in the 425 degree oven for 20-22 minutes, until the dough is really golden on top. After allowing the braid to cool for around 30 minutes, whisk together the powdered sugar, vanilla extract, and milk in a small measuring cup with a pour spout. Drizzle over the top of the braid and serve! Example of how to cut and assemble braid. Your braid series is amazing! I have been loving all the combinations and cannot wait to try this one especially as it’s summer here in New Zealand. 🙂 That is a sweet story – thanks for sharing. 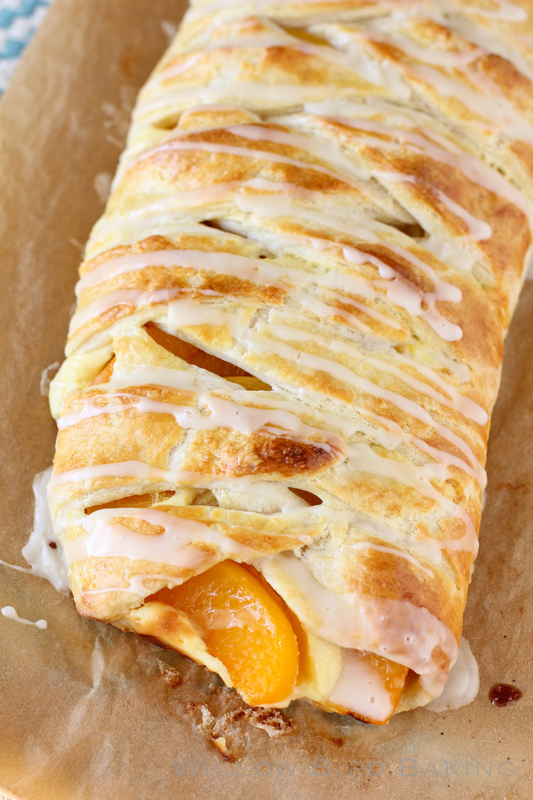 And the peach cheesecake braid? OMG I love it! So much good flavor here. What a sweet, sweet story about your students! Sorry about your terrible day. PS the sharks? I felt like I was high watching those things! Ohhh. This braid looks so good! This recipe makes me think of summer, which is perfect since we’re in the middle of snow storm! Oh, this that conversation was adorable. It put a smile on my face. Gah, Julie. These pastry braids are just so lovely. I need to do a gluten free version of this. I actually have some home canned peaches from this summer. I might play with this over the weekend! Yes, to gluten free! Please let us know how it turned out! I have been wanting to convert it to GF but have had no time to play… and ran out of my flour blend. 🙁 But I will be stopping by the Asian market tomorrow! The braid is gorgeous, but the story takes the cake. Love it. And weirdly, my husband always wants to add silent letters to things. Hope you are having a better day! I love everything about this post, from the crocheting to Seasons of Love (which I cannot refrain from belting out whenever I hear) to this bread. Oh, this bread…it looks SO good! I loved your story. Marketplace sounds like such a neat idea, and a great way to break up the monotony of a school day. And I absolutely LOVE pastry braids. So easy, yet they look so impressive. Your cream cheese might have been too warm. It should be softened and the mixture will be a bit messy, but it shouldn’t be runny.